Print maker Robert Russell was struck by Joyce’s portrayal of Dublin City in Ulysses, with all the diversity and colour of everyday living. He sees parallels in today’s Dublin and the issues that Dubliners face. Working with Stephen Fry, Paula Meehan, Rachael Hegarty, Theo Dorgan and Patricia Ross, Russell has combined his personal response with theirs by imprinting their Haiku on five etched images on copper plates. When visiting the exhibition, you are invited to write your own Ulysses, Joyce or Bloomsday inspired Haiku to become part of the exhibition. You can also email your Haiku to info@jamesjoyce.ie with “Haiku” in the subject heading or tweet @JamesJoyceCentr. Haiku is a short Japanese poetic form usually consisting of three lines of 5, 7, and 5 syllables each, but you don’t have to be that strict. Nickie Hayden has been a practising artist for 30 years and works in oil painting, sculpture and installation. In recent exhibitions she has worked with groups like the SAOL Project, Fighting Words and The Dyslexia Association of Ireland. Robert Russell attended IADT Dun Laoghaire, specialising in Sculpture, but also working with paint and print. Robert is Studio Director and Master Printer at Graphic Studio Dublin. Join us at the exhibition opening with poet Rachael Hegarty on 10th June. The exhibition can be visited throughout the Bloomsday Festival and will continue until December 2019. An exhibition of work by second-year students at Ballyfermot College of Further Education. Students studying both Classical & Computer Animation and Illustration at Higher National Diploma level used James Joyce and his modernist masterpiece Ulysses as a starting point. The Animation students retraced the steps of Leopold Bloom, producing visual research at locations associated with Ulysses. The work produced at these locations was then developed as background art for a proposed animated film based on the life and works of James Joyce. Working with both traditional and digital illustration techniques the students engaged with both the history and the environment associated with James Joyce and his most famous novel, Ulysses. The students’ own historical research influenced the style and content of the work they produced. In some cases the students re-imagined places as they may have appeared in the early 20th Century. They attempted to capture the special atmosphere of iconic Joycean locations like The National Library, the Martello Tower at Sandycove, Sweny’s Chemist, Davy Byrne’s Pub, Bewley’s Café, and The James Joyce Centre. Parallel to this, the Illustration students at Ballyfermot College of Further Education engaged with the text of Ulysses, and were tasked with producing work for a proposed new illustrated edition of the book. Ulysses was divided into forty-seven sections, each student producing four illustrations, experimenting with both media and style. The students’ own critical interpretation of the text influenced their approaches to both concept and form. Ballyfermot College of Further Education would like to acknowledge the warm welcome and generous support received at all the above locations. Join us on 10th June for the exhibition opening with the principal of Principal Ballyfermot College of Further Education Cecilia Munro. The exhibition can be visited throughout the Bloomsday Festival and will continue until December 2019. The James Joyce Centre is a lively hub of activity during the Bloomsday Festival. Join us Tuesday to Friday at 1.05pm to read from Ulysses. Write a Haiku about your own Bloomsday story to be added to the ‘Ulysses Haiku Project’ . Enjoy a lunchtime theatrical performance with either ‘Of Thyme and Rosemary’ or ‘Strolling through Ulysses’. Situated in a stunning Georgian townhouse in the heart of Joyce’s Dublin, a visit to the Centre will help you get under the skin of Joyce’s life and works. See the famous door of Number 7 Eccles Street from Ulysses and the table where Joyce worked on Finnegans Wake. Walk through a recreation of Joyce’s living quarters and interact with ‘A Vision of Joyce’ . The shop has a great selection of books and memorabilia. The James Joyce Centre hosts evening events during the Festival. On 11th June, there will be a panel discussion on Lucia Joyce . James Joyce is known for writing about life’s intimate moments. On 12th June, join writers Vigdis Hjorth and June Caldwell as they confront the challenge of shedding light on dark and complex aspects of modern life. Actor Janet Moran, filmmaker Tommy Creagh and illustrator Niall Laverty from At it Again! will discuss Joyce’s impact on their work on 13th June. On 14th June, prepare for Bloomsday with Joycean scholar Caroline Elbay and street carnival fan Maite López, with a whistle stop ride through Ulysses and Bloomsday. You do not need to book for a daytime visit to the James Joyce Centre from 11 - 15th June. For visits on Bloomsday itself please see here. Tickets for evening events must be booked in advance. Only the ground floor of the Centre is wheelchair-accessible. Though Joyce lived most of his life outside of Ireland, Dublin would provide the backdrop for virtually all of his work. On a stroll around the north inner city, our guide will explain the real-life inspiration behind some of Joyce’s most celebrated writing and will show just how central the streetscape of the ‘Hibernian metropolis’ is to the author’s life and art. The tour visits stops such as Joyce’s alma mater, Belvedere College; North Hardwicke Street, the setting of the short story ‘The Boarding House’; The Gresham Hotel, the setting of the final and most memorable scene of the short story ‘The Dead’; and the James Joyce Statue on North Earl Street, affectionately known as the ‘Prick with the Stick’. The tour also includes a visit to the site of one of the most famous addresses in English literature, No. 7 Eccles Street, and retraces the steps of Leopold Bloom’s celebrated journey to buy a pork kidney in the fourth episode of Ulysses. This tour ends on O’Connell Street. James Joyce grew up in a Dublin where politics, art and culture were intrinsic parts of everyday life and conversation. Nationalism was on the rise and, in the world of literature, artists were engaging with ideas of Irish identity and experience in what was known as the Irish Literary Revival. Joyce was shaped by this environment, but he had a complex relationship with his contemporaries and his nation. Join us on a tour that explores Joyce’s debt to major Revivalist figures such as W.B. Yeats, his rejection of contemporary artistic trends, his critical approach to the city and his eventual decision to leave Ireland and spend most of his life in Continental Europe, taking in along the way such iconic and culturally important landmarks as the GPO, the Abbey Theatre and the National Library. James Joyce is known for writing about life’s intimate moments. When Ulysses was published, it was considered obscene and unreadable by some critics. Joyce responded “if Ulysses isn’t fit to read, then life isn’t fit to live”. Join Norwegian writer Vigdis Hjorth and Dublin-based author June Caldwell for an intimate panel discussion. They will confront the challenges and pleasures of shedding light on dark and complex aspects of modern life. Actor Janet Moran, who played Molly Bloom in the Abbey Theatre Production of Ulysses, will illustrate the discussion with readings from Joyce’s works and letters. Vigdis Hjorth is a celebrated Norwegian author with a keen eye for current issues. She is known for writing existentialist books that address people’s life choices and living conditions. Her new novel Wills and Testament starts as a classic story of inheritance and sibling dynamics. But during the inheritance discussions another story emerges which brings violent forces into play. It's all about family history. June Caldwell worked for many years as a journalist before becoming a writer of fiction and has an MA in Creative Writing from Queen’s University Belfast. Her short story collection Room Little Darker was published In 2017. The Times described it as “an unflinching collection which thuds with life and kicks with horror” and the Independent wrote “Caldwell’s stories are ferocious beasts, kicking and screaming in rabid, frothing rage.” Caldwell has won the Moth International Short Story Prize and been shortlisted for many other awards, including the Calvino Prize in Fabulist Fiction. Her debut novel Little Town Moone is due in 2020. The evening will be chaired by Dimitra Xidous, author of Keeping Bees. Her work has been published in gorse, The Stinging Fly, and Room Magazine. Joyce once referred to Dublin as the ‘centre of paralysis’, a city that he felt was backward and repressive in contrast to the modern capitals of Europe. 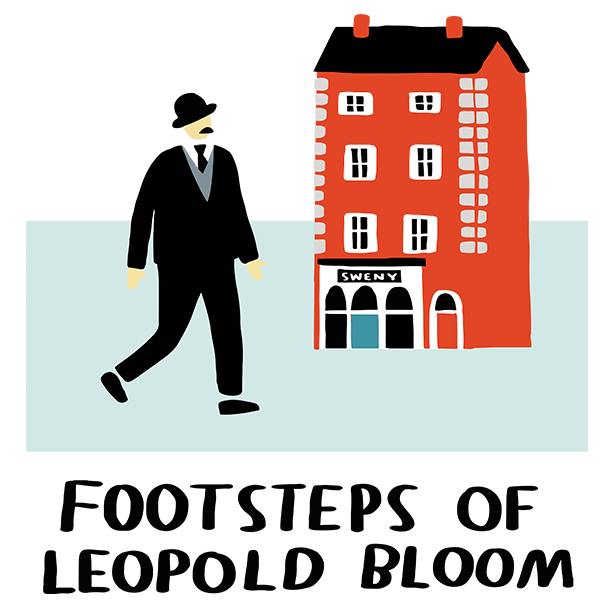 This idea found its expression in Dubliners, a short story collection that illustrates the effects of this restrictive atmosphere on the city’s population. Join our guide on a walk that visits some of the key locations from both the collection and the author’s life, discussing all the while Joyce’s critical portrayal of the social, religious and political landscape of his home town. This tour also gives some insight into the publication history of the collection, itself a story that creates a sense of Joyce’s artistic mission and his controversial approach to writing about Dublin. This tour ends around O’Connell Street. Enjoy an informal rehearsed reading of the one-act play ‘Of Thyme and Rosemary’, a conversation between James Joyce and Marcel Proust. The authors first met on 18 May 1922 at a private dinner party at the Hotel Majestic in Paris. Among the guests were fellow icons of Modernism Diaghilev, Stravinsky and Picasso. The conversation between Proust and Joyce was variously reported. According to one account, Joyce complained about his eyes and Proust his stomach. Written by Boston-based playwright Debbie Wiess, ‘Of Thyme and Rosemary’ depicts an imagined second meeting, in which the iconic writers had a true meeting of minds over some white wine. A founding member of Boston-based Here Comes Everybody Players, Cathal Stephens has been performing work related to James Joyce and his work for over twenty-five years. He has performed at literary conferences and festivals throughout North America and Europe. Jack Walsh studied mime and Theatre in Paris and has played on almost every stage in Ireland. He volunteers at Sweny’s Joycean Pharmacy and will play Leopold Bloom in ‘A Play on Ulysses’ in Blackrock on 16th June. He is currently working on a one man show called ‘Welcome To Ireland’ at the Axis Theatre, Ballymun. Debbie Wiess is a Boston-based writer, director and producer. She is a published author and her work has been presented throughout the US and abroad. ‘Of Thyme and Rosemary’ is her second play about iconic authors James Joyce and Marcel Proust. In the final chapter of Ulysses, Molly Bloom reflects “I wouldnt give a snap of my two fingers for all their learning why dont they go and create something”. Joyce’s work has long served as an inspiration not only for writers, but for artists working across the disciplines, from music and dance to visual art and theatre. This Bloomsday Festival, we’ll be celebrating Joyce’s effect on the non-literary arts by bringing together actor Janet Moran, filmmaker Tommy Creagh and illustrator Niall Laverty from At it Again! They will discuss Joyce’s impact on their practice. Actor Janet Moran played Molly Bloom in the Abbey Theatre Production of Ulysses. Known for her roles in Trivia (2011), Breakfast on Pluto (2005) and The Butcher Boy (1997), Moran recently co-hosted the Irish Times Theatre Awards. Her play-writing credentials include ‘A Holy Show’ and ‘Swing’, an international hit about dancing and music and love, in which she also performed. Niall Laverty is an illustrator and gesture drawing teacher. He is currently a part-time lecturer on the Animation course at the National Film School. At it Again! bring Irish literature to life. They celebrate Irish writers and their works with fun pocket books and other literary gifts. Tommy Creagh is an award winning Filmmaker & Playwright. He has a passion for poetry and how it can be brought into the cinema. His film ‘Land of Winter’ is inspired by Joyce’s short story ‘The Dead’ and follows a troubled young man between pubs, whilst snow clouds loom over Dublin. The short film will be shown at the event. Joyce lived most of his life outside Dublin, but there is hardly a village or street in the city that doesn’t have some link to the author and his sprawling works. His unsettled family life meant that he moved address frequently in his adolescent years and his portrait of the city in works like Ulysses was so comprehensive that he once claimed that "if the city one day suddenly disappeared from the earth it could be reconstructed out of (his) book". Join us for this bus trip from Dublin’s epicentre to the stunning coastline, trace the steps of Joyce and his characters and learn all about the author’s links to the different areas of the city in the company of our local guide. 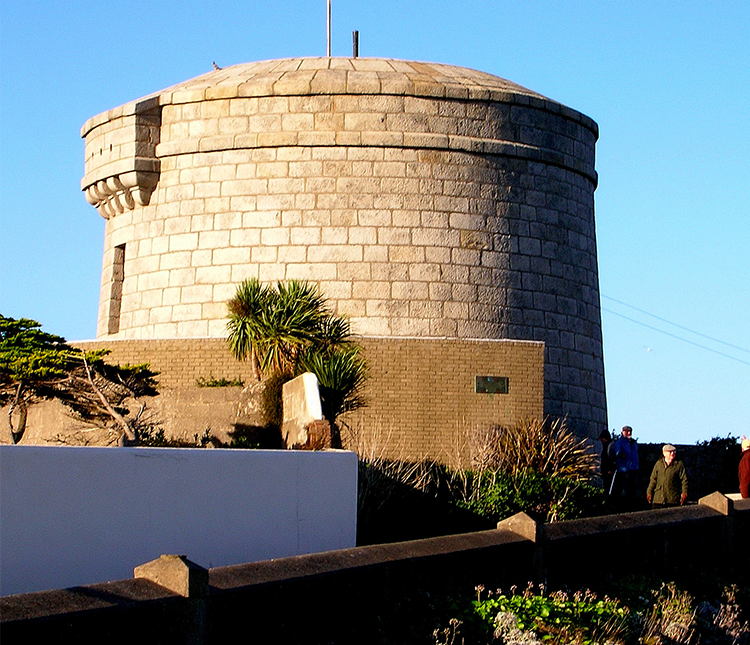 You'll take in Portobello and the city's former Jewish quarter, stop by Joyce's birthplace in Rathgar, Clifton House and North Richmond Street, enjoy your lunch in the beautiful village of Glasthule and head to the James Joyce Tower & Museum before returning to the city via Sandymount Strand. Please Note: Tour does not include cost of lunch. Prepare for Bloomsday with Dubliner and Joycean scholar Caroline Elbay and street carnival fan Maite López from At it Again! You’ll be taken on a whistle stop ride through the 18 episodes of Ulysses and learn about Joyce’s life and times. You’ll discover the origins of Bloomsday and hear stories about Dublin, its characters and buildings, that sit at the heart of Joyce’s writings. Joyce’s epic book has a reputation for being inaccessible and difficult, but Ulysses for All will show you that this perception is far from true. Ulysses is full of humour, insight and beauty. 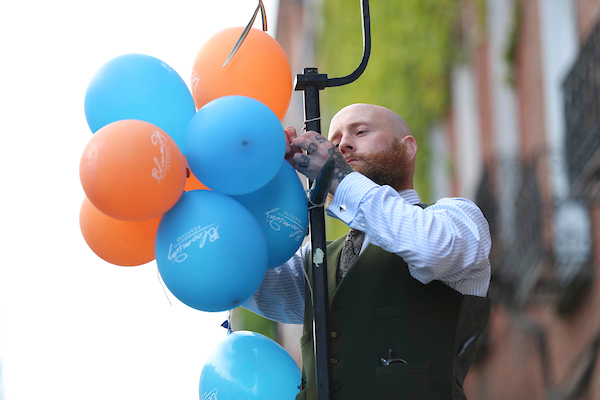 Enjoy a glass of Prosecco while you are guided through Ulysses and the traditions that make the Bloomsday Festival so colourful. You will discover the significance of style and dress in Ulysses as well as meeting some of the colourful characters that pepper its pages. Be inspired to dress up as the zombie-like Paddy Dignam, the flamboyant Buck Mulligan or flirty Gerty MacDowell. Discover why people dress up as bars of lemon soap or cheese sandwiches. Along the way, you will pick up ideas for hair and make-up that will have you cleaning up at the Bloomsday best-dressed competitions. Your complimentary goodie bag will be bursting with objects to help you celebrate Bloomsday, including a copy of Romping through Ulysses. 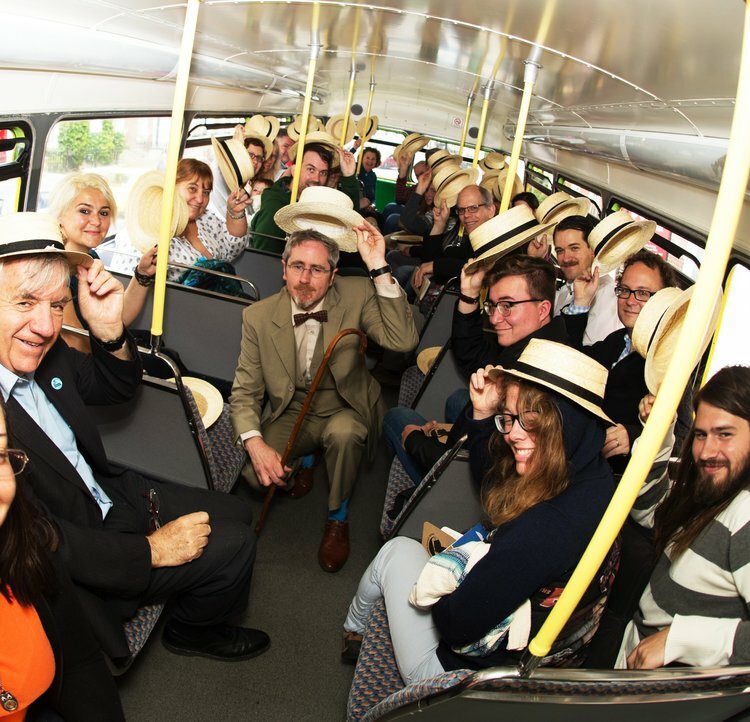 Join us on our Dublin odyssey and put the YOU into Ulysses this Bloomsday. Every Dubliner has their own story about James Joyce, and no one more so than our best-known Joycean, Senator David Norris. Senator Norris has been at the heart of Joyce’s Dublin for nearly sixty years. For our Bloomsday Interview, Senator Norris will sit down with Irish journalist, RTE presenter and former newsreader Anne Doyle to discuss all things Joyce. The interview will take place in Joyce’s alma mater, Belvedere College. David Norris was Senior Lecturer in the Department of English in Trinity College Dublin for almost 30 years. Students from across faculties crammed into his stimulating lectures. He wrote Introducing Joyce: A Graphic Guide, edited the International James Joyce Symposium and helped organise the Joyce Centenary Celebrations in Dublin in 1982. He was instrumental in establishing the Bloomsday Festival which is now celebrated all over the world on the 16th of June each year. David Norris is one of Ireland’s leading Joyce scholars, was Founding Chairman of the James Joyce Centre and the North Great Georges Street Preservation Society. He is also known for his work on national and international human and civil rights and equality issues as well as the conservation of Dublin’s architectural heritage. David Norris was a candidate in the Irish Presidential election 2011. His autobiography A Kick Against the Pricks has been nominated for several prizes. 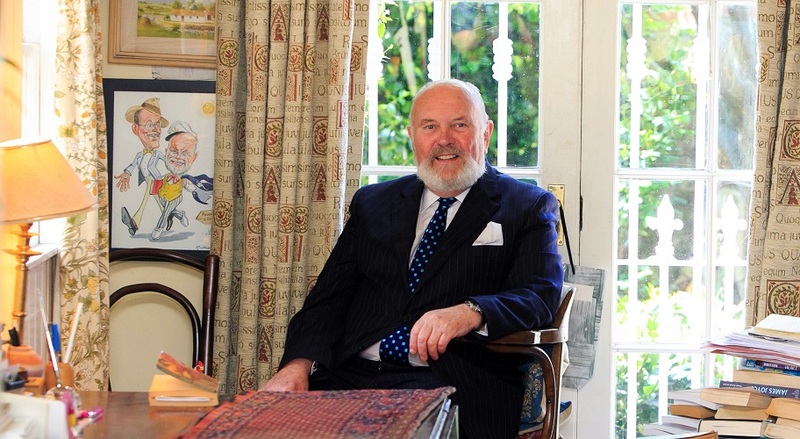 As the longest serving member of Seanad Eireann, Senator David Norris became “Father of the House” in 2011. Join us on Bloomsday Eve for what promises to be a magical evening. As part of the event, Senator Norris will present The David Norris Award for significant contribution to Joycean Dublin and Bloomsday to this year’s winner. The Poetry Brothel: O, Rocks! This year’s Poetry Brothel celebration of James Joyce finds itself asking its contributors to take Molly’s words to heart: “O, rocks, tell us in plain words”. Joyce’s world and characters have indeed undergone ‘metempsychosis’ at an alarming rate as each new generation of readers absorbs, adopts and refashions Bloomsday in their own image. This year we celebrate the city itself, the characters and situations of Dublin common to us all. Like Wandering Rocks transmigrating through this city from dawn until dusk (from birth until death), it is Dublin herself that we celebrate and we invite you to celebrate with us! The Poetry Brothel is an immersive literary cabaret nightclub experience, a place where jazz musicians, burlesque dancers, body painters, magicians, drag performers and tarot card readers mingle and perform — but poetry holds centre stage as the headline act. The line-up will include many stars of Dublin’s vibrant and growing spoken word movement, who will perform onstage and will be available (for a fee) to take you into a dark corner to read you a poem, one-to-one. VIP registration (€50) guarantees premium seating and exxxclusive access to all the evening's artists and performers, as well as a selection of take-home goodies and other special treats. Don’t miss your chance to experience it this Bloomsday. Doors at 9pm.